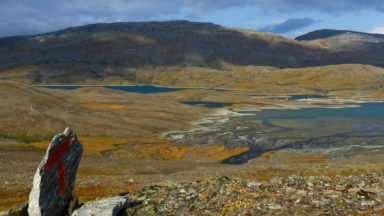 Mike Laing introduces the 460km Kungsleden (or King’s Trail), Sweden’s foremost long-distance trail. 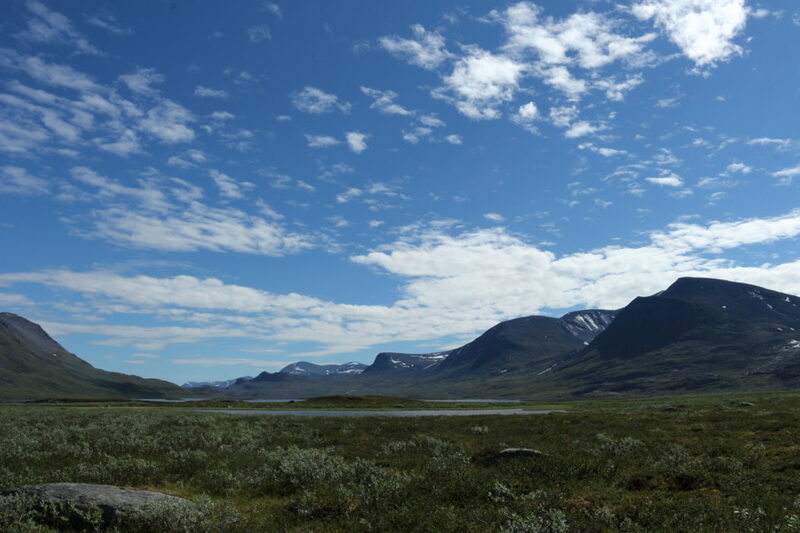 The Kungsleden begins within the Arctic Circle at Abisko and heads south to Hemavan in five continuous yet distinct sections. 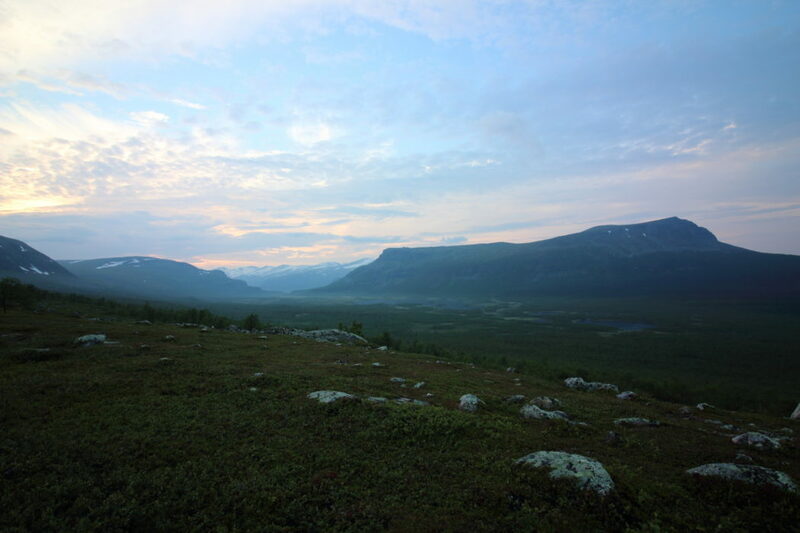 Along its course it traverses an awe-inspiring arctic wilderness of mountain, forest, lake and open fell through the lands of the reindeer-herding Sámi people. Manned huts on the more popular sections allows access for walkers of all abilities and experience. 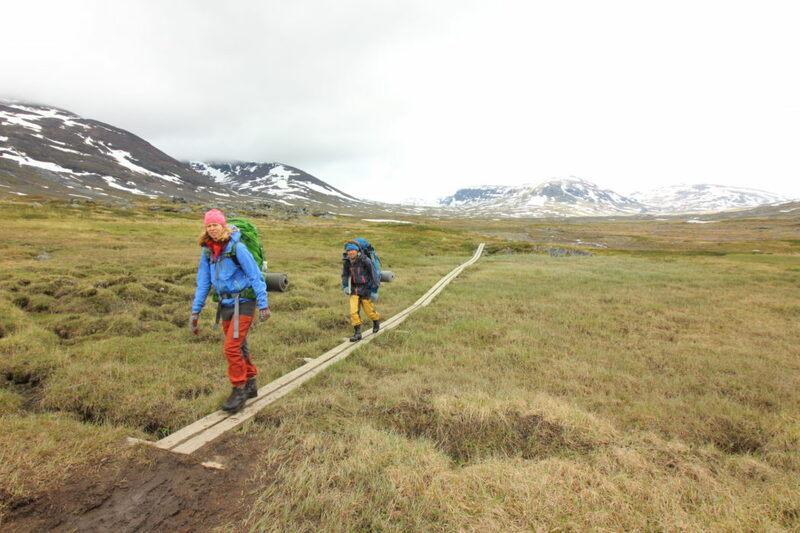 Most walkers start in Abisko but it is also common to head in the opposite direction. 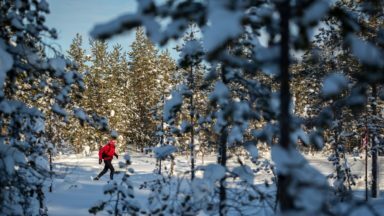 The first section from Abisko is extremely popular and makes for an enjoyable and spectacular week’s walking in the mountains; the 103km circuit from Abisko to Nikkaluokta allows easy access and egress via Kiruna, which is served by daily air and rail services. The trail is well marked and signposted throughout and a choice of excellent mapping is available from a variety of publishers. 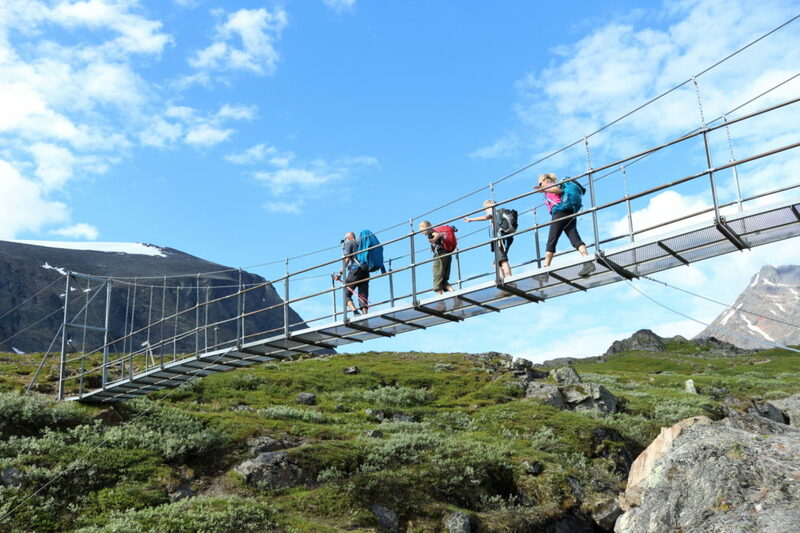 Bridges are provided where the trail crosses rivers, and boardwalks have been laid across the boggiest terrain. 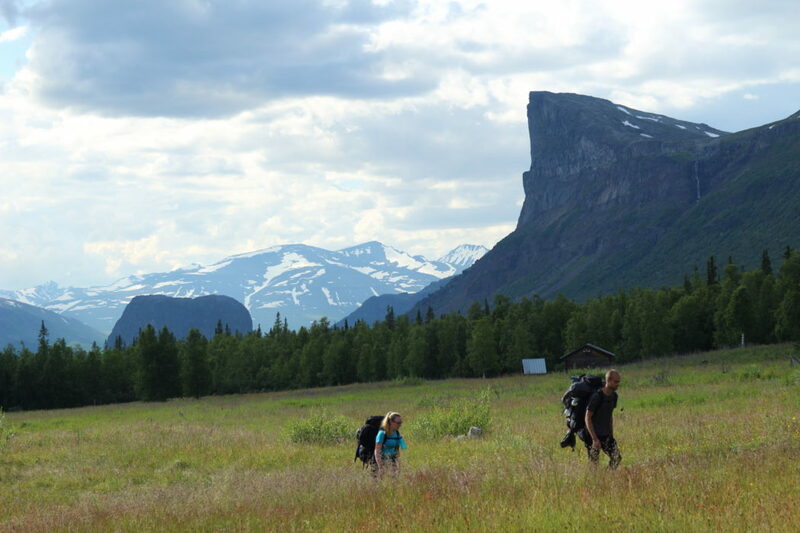 The entire landscape is paradise for wild campers, although three of the five sections are furnished with regular Swedish Tourist Association (STF) mountain huts or fjällstugor. 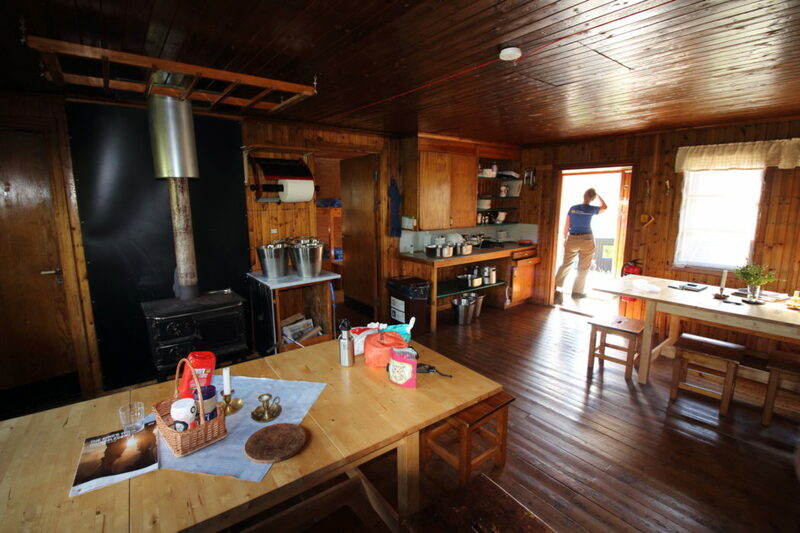 These huts are manned by volunteer wardens and provide a host of facilities that include bunkbed accommodation, wood-fired saunas, basic supplies, a shop, weather forecasts and cooking/dining areas; wild campers can also use these facilities on a ‘day visitor’ basis as they pass through. Those staying at the huts are expected to assist with housekeeping tasks such as fetching water, disposing of waste water (or slask) and chopping wood; however, the burden is never onerous. Further interest is provided by the seven mandatory boat crossings along the trail’s length. Most have rowing boats in situ provided by the STF, while others have motorised services; many crossings have both running in parallel. If you are lucky you may spot otters beside the rivers, moose in the marshy river deltas, white-tailed eagles soaring overhead or peregrines diving from cliffs on high. Sweden’s ‘Big Four’ are the brown bear, wolverine, lynx and wolf; all are wary of humans and are unlikely to be seen. Reindeer are largely absent in the summer, having migrated westwards to the higher, cooler grazing on the Norwegian border. 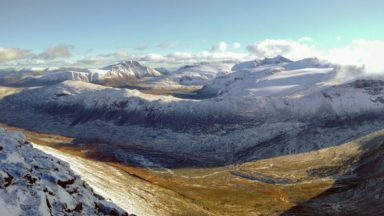 Those undertaking the circuit between Abisko and Nikkaluokta will pass close to Sweden’s highest peak, Kebnekaise (2098m), which can be climbed via the non-technical Västra Leden (West Route) in a single day’s return trip. 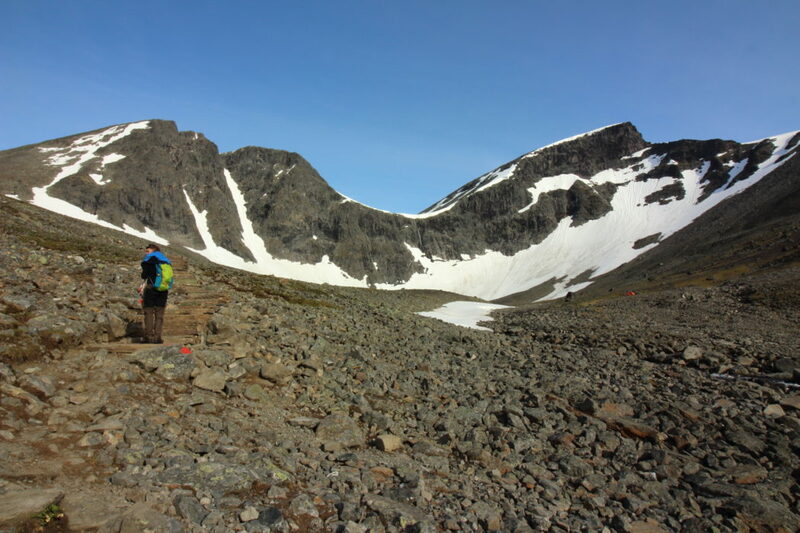 Another worthwhile deviation from the trail is the ascent of Skierffe, whose chiselled and proud profile overlooks Aktse on the second section between Saltoluokta and Kvikkjokk. The third and fourth sections that lie between Kvikkjokk and Ammarnäs do not have manned huts. These are the quietest sections on the trail and have a remote and spacious atmosphere. 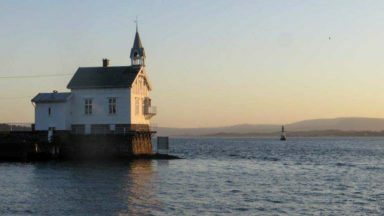 Resupply on this 180km stretch is facilitated at the small and delightful communities encountered at Jäkkvik, Adolfsström and Bäverholmen. Along the entire trail walkers will encounter small wooden emergency shelters that afford respite in inclement weather. These are unlocked and are equipped with emergency rations and wood stove fuel; such shelters are not intended for pre-planned use. 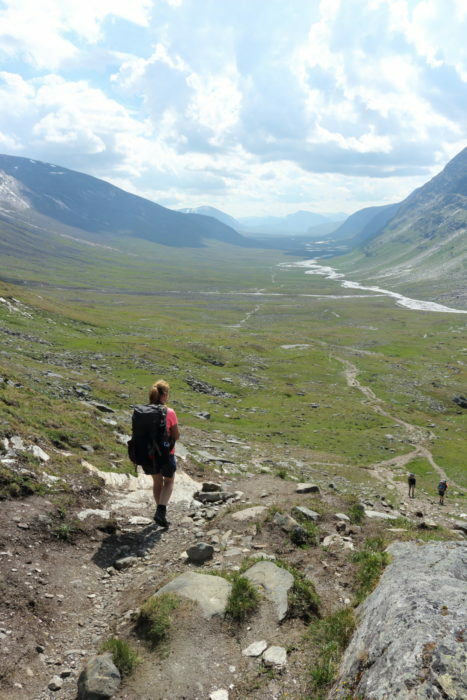 One of the Kungsleden’s greatest joys is the Swedes that are encountered on the way, both trekkers and locals. Their openness, humour and willingness to engage is boundless and genuine. There is plenty of opportunity to engage at the huts but even on the open trail they will always stop to chat and trade information. 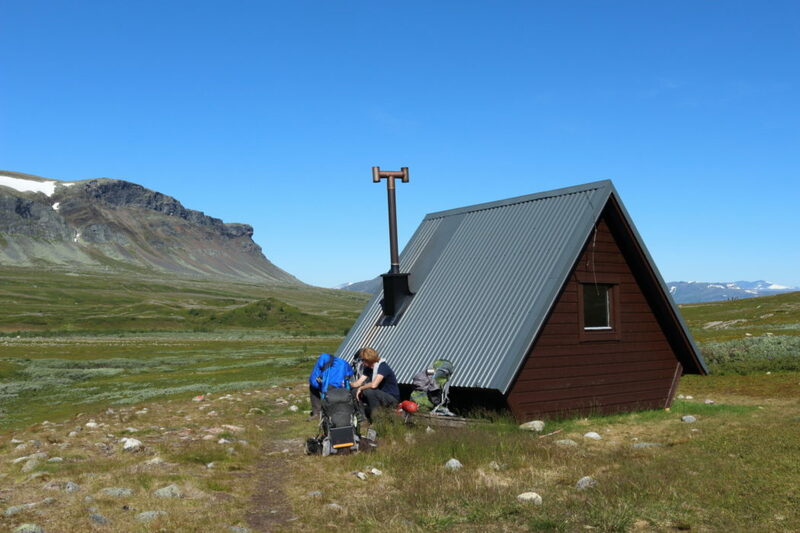 The Kungsleden’s summer season is mid-June until the end of September and it is only during this period that the STF huts will be open and boat services are operating to make the water crossings; between mid-February and the beginning of May the huts are open for the winter season and enjoyed by cross-country skiers. Insect numbers can be high on the trail and those wishing to avoid them altogether should plan to visit at the start or finish of the summer season, bearing in mind that the start of the season can see deep residual snow on the higher passes. The Alpine flowers are at their best early in the season, while fruits such as lingon, cloudberry and bilberry ripen towards the summer’s end. 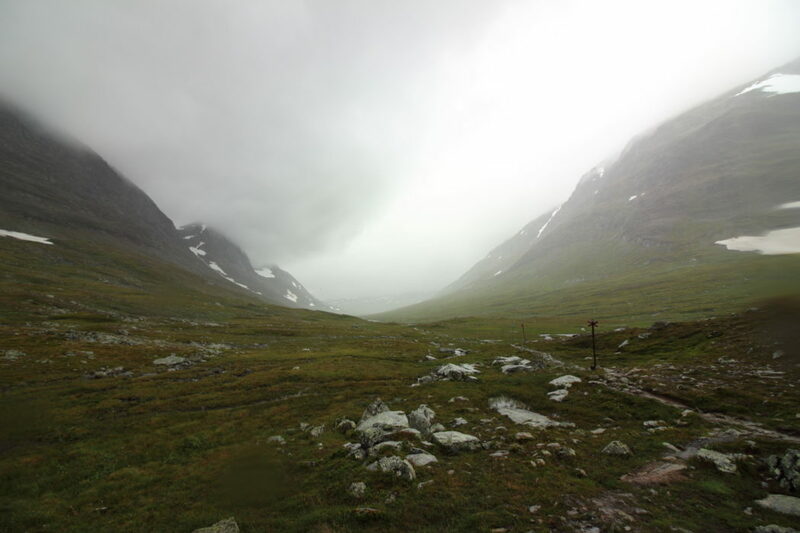 Transport and resupply require some forward planning as the Kungsleden traverses a remote landscape where settlements are scattered and small. Purchasing food and stove fuel at the huts on the sections that have them will minimise rucksack weight but will be relatively expensive and choice will be restricted. It is possible to resupply at section ends and this will prove to be more economical. Swedish society is almost cashless and cards are accepted virtually everywhere, save at the remotest of the STF huts. 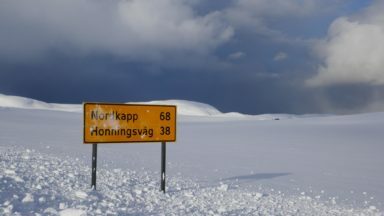 Local transport services are limited and, if you are entering or exiting anywhere other than Abisko and Hemavan, it can take up to two full days of traveling to reach a major airport such as Stockholm. 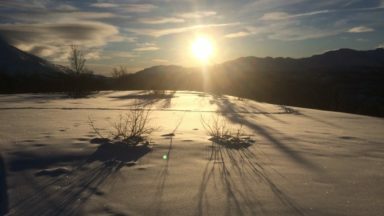 What I learned skiing Norge På Langs, Norway from end to end.